Problems are there to be solved! I will write all the steps and explain why and how. Critical NOTE: Before starting [patching, it is highly recommended to restart all Storage Servers and DB Nodes. Why? Because, during patching they will automatically restarted and if the restart is not successful, then you will have big headache! So, in my case everything went fine. In our case we needed to download patch 17816100: "Quarterly Full Stack Download Patch For Oracle Exadata (Jan 2014 - 11.2.0.3.0)". Download from MOS. Red Color are my comments, black are commands and commands'outputs. All steps must be done under root user. list of host names in the cell_group file. Set up SSH root equivalence if not already done so from the launch server. Do not do this step if you already have root SSH equivalence. Accept the defaults so the SSH keys are created for the root user. Push the SSH keys to set up SSH equivalence using the following command. Enter the root password when prompted. [root@exa101 ~]# dcli -g cell_group -l root "cellcli -e alter cell shutdown services all"
exa1cel01: The SHUTDOWN of services was successful. exa1cel02: The SHUTDOWN of services was successful. exa1cel03: The SHUTDOWN of services was successful. from the following command is consoletype=serial. To stop it press the Escape key (ESC) followed by ( and then stop /SP/console. was applied. Do not re-run a patch application from a login session in which the rollback procedure was run. -Do not interrupt the patching procedure once it is initiated on a cell. -Cells automatically reboot, as needed, during patch application. Do not reboot or power cycle cells while applying the patch. cause the patch application to be interrupted by editing its logs while applying the patch. -Monitor patch activity using less -rf patchmgr.stdout from another terminal session or window to see raw log details from the patchmgr utility. Unzip the patch, it will extract into the patch_11.2.3.3.0.131014.1 directory. Change to the patch_11.2.3.3.0.131014.1 directory. Download any patchmgr plug-ins attached to the My Oracle Support note 1487339.1, and install them as documented in the My Oracle Support note. In our case it is p17938410_112330_Linux-x86-64.zip. even after rolling back the patch. 2014-04-24 20:47:05 +0400 :SUCCESS: DONE: Check cells have ssh equivalence for root user. 2014-04-24 20:48:05 +0400 :SUCCESS: DONE: Initialize files, check space and state of cell services. 2014-04-24 20:48:19 +0400 Wait correction of degraded md11 due to md partner size mismatch. Up to 30 minutes. 2014-04-24 20:49:04 +0400 :SUCCESS: DONE: Check prerequisites on all cells. 2014-04-24 20:49:05 +0400 :SUCCESS: DONE: Execute plugin check for Patch Check Prereq. exa1cel01: 2014-04-24 20:47:10 +0400 [INFO]: patchmgr launch attempt from exa101.bog.ge_10.0.0.150_root_patch_11.2.3.3.0.131014.1. exa1cel02: 2014-04-24 20:47:09 +0400 [INFO]: patchmgr launch attempt from exa101.bog.ge_10.0.0.150_root_patch_11.2.3.3.0.131014.1. exa1cel03: 2014-04-24 20:47:10 +0400 [INFO]: patchmgr launch attempt from exa101.bog.ge_10.0.0.150_root_patch_11.2.3.3.0.131014.1. exa1cel01: 2014-04-24 20:48:08 +0400 [INFO]: patchmgr launch attempt from exa101.bog.ge_10.0.0.150_root_patch_11.2.3.3.0.131014.1. exa1cel01: 2014-04-24 20:48:19 +0400 [INFO]: patchmgr launch attempt from exa101.bog.ge_10.0.0.150_root_patch_11.2.3.3.0.131014.1. exa1cel02: 2014-04-24 20:48:08 +0400 [INFO]: patchmgr launch attempt from exa101.bog.ge_10.0.0.150_root_patch_11.2.3.3.0.131014.1. exa1cel02: 2014-04-24 20:48:19 +0400 [INFO]: patchmgr launch attempt from exa101.bog.ge_10.0.0.150_root_patch_11.2.3.3.0.131014.1. exa1cel03: 2014-04-24 20:48:08 +0400 [INFO]: patchmgr launch attempt from exa101.bog.ge_10.0.0.150_root_patch_11.2.3.3.0.131014.1. exa1cel03: 2014-04-24 20:48:19 +0400 [INFO]: patchmgr launch attempt from exa101.bog.ge_10.0.0.150_root_patch_11.2.3.3.0.131014.1. exa1cel01: 2014-04-24 20:48:20 +0400 [INFO]: patchmgr launch attempt from exa101.bog.ge_10.0.0.150_root_patch_11.2.3.3.0.131014.1. exa1cel01: _EXIT_PASS_Cell exa1cel01 10.45.33.4 2014-04-24 20:49:03 +0400: 2014-04-24 20:49:03 +0400 [INFO] Started to patch. exa1cel02: 2014-04-24 20:48:20 +0400 [INFO]: patchmgr launch attempt from exa101.bog.ge_10.0.0.150_root_patch_11.2.3.3.0.131014.1. exa1cel02: _EXIT_PASS_Cell exa1cel02 10.45.33.5 2014-04-24 20:49:03 +0400: 2014-04-24 20:49:02 +0400 [INFO] Started to patch. exa1cel03: 2014-04-24 20:48:20 +0400 [INFO]: patchmgr launch attempt from exa101.bog.ge_10.0.0.150_root_patch_11.2.3.3.0.131014.1. exa1cel03: _EXIT_PASS_Cell exa1cel03 10.45.33.6 2014-04-24 20:49:03 +0400: 2014-04-24 20:49:03 +0400 [INFO] Started to patch. exa1cel01: 2014-04-24 20:48:27 +0400 [INFO] Shut down MS before doing ipmitool commands. exa1cel01: The SHUTDOWN of MS services was successful. exa1cel01: 2014-04-24 20:48:35 +0400 [INFO] Start MS after doing ipmitool commands. exa1cel01: The STARTUP of MS services was successful. exa1cel01: Copyright (C) SUN Microsystems 2009.
exa1cel01: 2014-04-24 20:49:03 +0400 [INFO] Boot device order is correct. exa1cel02: 2014-04-24 20:48:27 +0400 [INFO] Shut down MS before doing ipmitool commands. exa1cel02: The SHUTDOWN of MS services was successful. exa1cel02: 2014-04-24 20:48:35 +0400 [INFO] Start MS after doing ipmitool commands. exa1cel02: The STARTUP of MS services was successful. exa1cel02: Copyright (C) SUN Microsystems 2009.
exa1cel02: 2014-04-24 20:49:02 +0400 [INFO] Boot device order is correct. exa1cel03: 2014-04-24 20:48:27 +0400 [INFO] Shut down MS before doing ipmitool commands. exa1cel03: The SHUTDOWN of MS services was successful. exa1cel03: 2014-04-24 20:48:35 +0400 [INFO] Start MS after doing ipmitool commands. exa1cel03: The STARTUP of MS services was successful. exa1cel03: Copyright (C) SUN Microsystems 2009.
exa1cel03: 2014-04-24 20:49:03 +0400 [INFO] Boot device order is correct. 2014-04-24 20:49:04 +0400 :WARNING: patchmgr plugin /root/patch_11.2.3.3.0.131014.1/plugins/001-post_11_2_3_3_0. 2014-04-24 20:49:04 +0400 :INFO: patch stage:Patch Check Prereq. 2014-04-24 20:49:04 +0400 :INFO: cells:exa1cel01,exa1cel02,exa1cel03. 2014-04-24 20:49:04 +0400 :INFO: patch action:patch_prereq. 2014-04-24 20:49:04 +0400 :INFO: rolling mode:non-rolling. 2014-04-24 20:49:04 +0400 :INFO: label image version:11.2.3.3.0.131014.1. 2014-04-24 20:49:04 +0400 :INFO: patchmgr log:/root/patch_11.2.3.3.0.131014.1/patchmgr.stdout. (*) 2014-04-24 22:53:57: All post steps are finished. (*) 2014-04-24 23:29:21: Verifying firmware updates/validations. Maximum wait time: 30 minutes. (*) 2014-04-24 23:29:21: If the node reboots during this execution, re-run './dbnodeupdate.sh -c' after the node restarts..
(*) 2014-04-24 23:31:45: All post steps are finished. Finished 1st DB Node upgrading. Do the same in remaining Nodes. 2014-04-25 00:12:13 +0400 1 of 1 :SUCCESS: DO: Initiate pre-upgrade validation check on InfiniBand switch(es). [INFO ] Found 1 InfiniBand switches with subnet manager running. Continuing as per user request. 2014-04-25 00:13:20 +0400 1 of 1 :SUCCESS: DONE: Initiate pre-upgrade validation check on InfiniBand switch(es). 2014-04-25 00:31:59 +0400 1 of 1 :SUCCESS: DONE: Upgrade InfiniBand switch(es) to 2.1.3-4. 2014-04-25 00:33:44 +0400 1 of 1 :SUCCESS: DO: Initiate pre-upgrade validation check on InfiniBand switch(es). 2014-04-25 00:34:11 +0400 1 of 1 :SUCCESS: DONE: Initiate pre-upgrade validation check on InfiniBand switch(es). 2014-04-25 00:52:30 +0400 1 of 1 :SUCCESS: DONE: Upgrade InfiniBand switch(es) to 2.1.3-4. Never hurry up for telling "It is a BUG in Oracle"! So, logically it means it is designed and working as expected :) But for to be 100% sure, I will raise a BUG! Good luck! [oracle@12cdb ~]$ sqlplus "/ as sysdba"
Yes, it is working. It would be not logical, if we could not open other PDBs in the same CDB because of having problem in 1 PDB only. If you apply PSU1 on 12c, you will not meet with such problem, CDB will skip opening problematic PDB and will open other PDBs. Oracle 12c now provides the ability to index a subset of partitions and to exclude the others. Local and global indexes can now be created on a subset of the partitions of a table. Partial Global indexes provide more flexibility in index creation for partitioned tables. For example, index segments can be omitted for the most recent partitions to ensure maximum data ingest rates without impacting the overall data model and access for the partitioned object. Partial Global Indexes save space and improve performance during loads and queries. This feature supports global indexes that include or index a certain subset of table partitions or subpartitions, and exclude the others. This operation is supported using a default table indexing property. When a table is created or altered, a default indexing property can be specified for the table or its partitions. The indexing property determines whether table partitions and subpartitions are included in partial indexes on the table. The default is INDEXING ON. When you specify the INDEXING clause at the table level, in the table properties clause, you set the default indexing property for the table. The INDEXING clause may also be specified at the partition and subpartition levels (if ommitted partitions/subpartitions inherit the default indexing property of the table). The CREATE INDEX syntax is extended to support specification of the FULL or PARTIAL index. Specify INDEXING FULL to create a full index. In this case the index is decoupled from the table properties. A full index includes all partitions in the underlying table, regardless of their indexing properties. Specify INDEXING PARTIAL to create a partial index. A partial index includes only partitions in the underlying table with an indexing property of ON. The default is FULL, if neither FULL or PARTIAL is specified, i.e. Oracle will index all partitions (similar to the behavior of Oracle Database releases prior to Oracle Database 12c.). Partitions which have not INDEXING clause, inherit the default indexing property of the table (INDEXING OFF). Partitions P1 and P3 are included in all partial global indexes. Note: Partitions P4 and P5 are not included in all partial global indexes because the default INDEXING property for the table is OFF, and INDEXING ON/OFF has not been specified at the partition level for those partitions; therefore, P4 and P5 partitions inherit the table default indexing property. This statement will create a Partial Global index on the MYT1 table. The GP_IDX index in the example will be created to index only those partitions that have INDEXING ON, and exclude the remaining partitions. The views expressed on this blog are my own and do not necessarily reflect the views of ORACLE. Also the views and opinions expressed by visitors to this blog are theirs and do not necessarily reflect mine. I’ve been using Oracle since 2002. My specialization: Extensive experience with designing and implementing Oracle databases, including systems architect. Extensive experience in Database Administration. Expert in Oracle Real Application Clusters (RAC), Data Guard. Expert in Oracle Database Security and Backup/Recovery solutions. Extensive experience in migration projects. Extensive performance tuning experience, specializing in instance tuning and SQL optimization. Experienced in Consulting, classroom trainer in Oracle Database technology. 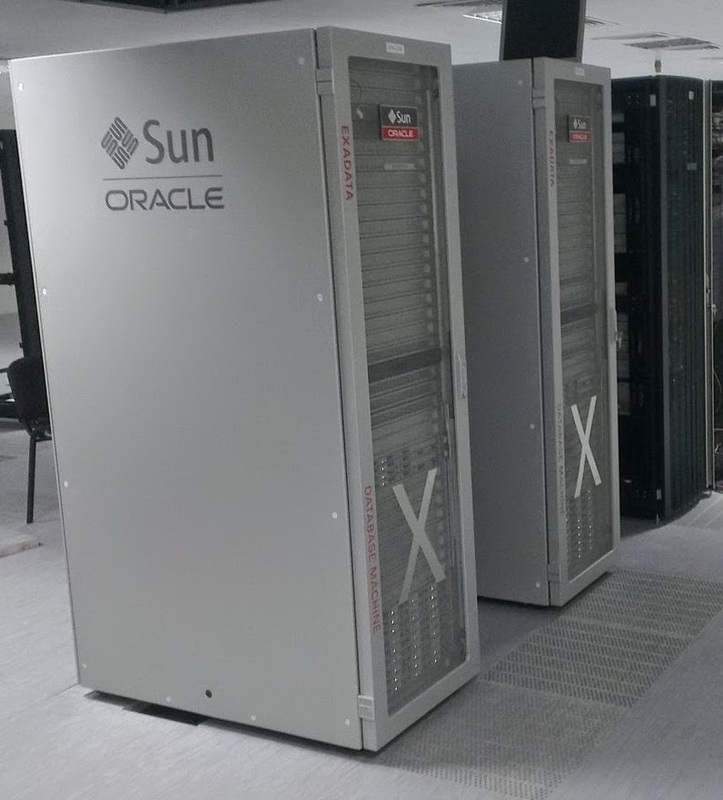 Implement, upgrade and tuning other Oracle products such as Exadata, GRID Control. Extensive experience with Oracle Maximum Availability Architecture(MAA). Attended many Exadata POC(Proof of Concept) in different countries. Currently I am working at ORACLE's Azerbaijan office as Principal Technology Consultant. Rich Long's "Oracle Automatic Storage Management"
Jonathan Lewis's "Cost-Based Oracle Fundamentals"